A personal injury settlement is when the person being sued (the defendant) agrees to pay the person suing (the plaintiff) a certain amount to make them drop the case. A personal injury judgment occurs when a judge or jury makes a decision following a trial. 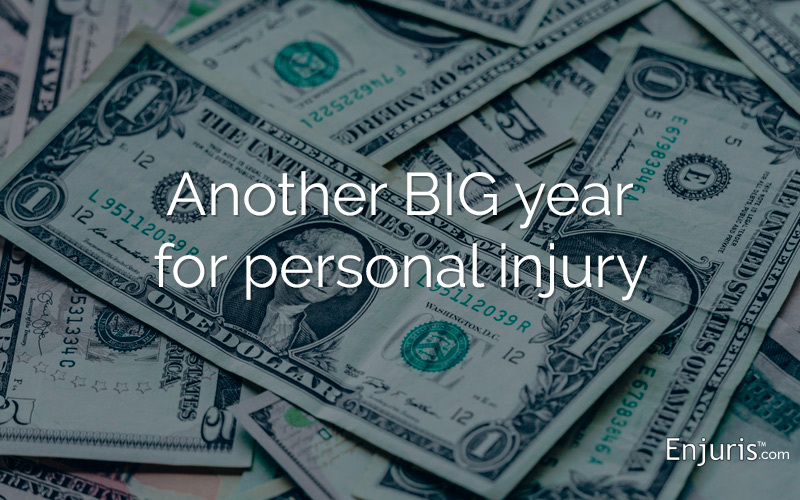 Personal injury settlements and judgments are on the rise in many states. The city of Chicago paid $115 million to a woman—and former dance student—paralyzed by a collapsed 750-pound pedestrian bus shelter at O’Hare International Airport. AIG Aviation, one of the city’s insurance companies, paid out the entire settlement, much of which will help pay for round-the-clock care for the woman. General Motors agreed to pay $120 million to settle claims filed as a result of faulty ignition switches, which cut power in some cars, resulting in the failure of various safety features, including air bags. The $120 million settlement is on top of the $2.5 billion that General Motors has already paid in penalties and settlements for the faulty switches. In all, 123 people have been killed and 275 have been injured as a result of the faulty switches. A Michigan jury awarded $130 million in a medical malpractice lawsuit initiated by the mother of a 2-month-old child. The infant developed severe brain damage as a result of a negligently inserted IV. According to the lawsuit, the technicians breached the standard of care by repeatedly inserting a needle into the infant’s arm and failing to call a “code blue” when the baby showed signs of respiratory arrest. The jury award included $6.5 million for past medical expenses and $2 million for past pain and suffering. The rest of the award was for future medical expenses and future lost wages. In California, a jury awarded a groundskeeper $289 million dollars. The groundskeeper claimed that the glyphosate found in Roundup and Ranger Pro weed killers caused his non-Hodgkin’s lymphoma. The man further claimed that Monsanto knew that its products were dangerous and failed to warn its consumers. The ruling is expected to lead to hundreds of additional claims against Monsanto. Michigan State University reached a $500 million settlement in order to settle claims brought by 332 victims of alleged sexual abuse by former faculty member and team doctor Larry Nassar. In a separate criminal trial, Larry Nassar was sentenced to 40-125 years in prison. Enjuris Tip: Want to know how much your case is worth? Use our personal injury calculator to get a rough idea on the value of your claim. As mentioned above, jury verdicts and settlements are on the rise in many states. If you’ve suffered an injury as a result of someone else’s wrongful actions, consider using our free personal injury law firm directory to find an attorney who can help you receive the settlement or judgment you deserve.